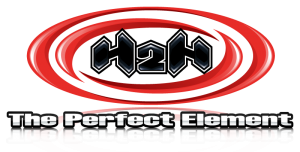 For over twenty-five years, H2H (formerly Hart 2 Hart) has been the leader in Bar Mitzvah DJs and Dancer entertainment in Los Angeles. We invented, yes, invented the roles of Bar Mitzvah DJs, Dancers and MCs, revolutionizing the concept of Bar Mitzvah DJs in Los Angeles. Before we exploded onto the scene from New York, Bar Mitzvahs DJs in LA were ordinary, bland performers. 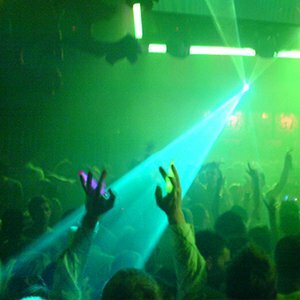 We changed all of that with our unique brand of Bar Mitzvah DJ entertainment. 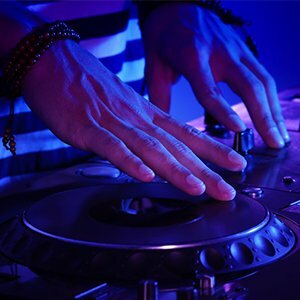 In comparison to other DJ companies, H2H has over twenty-five years of Bar Mitzvah DJ experience in Los Angeles making H2H the most experienced and trusted name in Bar Mitzvah DJ entertainment. H2H is the only company that regularly recruits and trains it’s staff to create incredible performers. Each member of our team has undergone an extensive training regiment that includes hours of studio and on site event instruction. This ensures that every H2H staff member is not just a performer but a professional. At H2H we realize that creating an amazing event for our clients involves a combination of not only the finest talent in Los Angeles but the best technology as well. That’s why all of our events feature state of the art sound, lighting and video equipment. Your guests will be thrilled by the quality of our sound and lighting and will marvel at our Video Partycast®, Neon Fantasy PRIME® and our Montage projection. 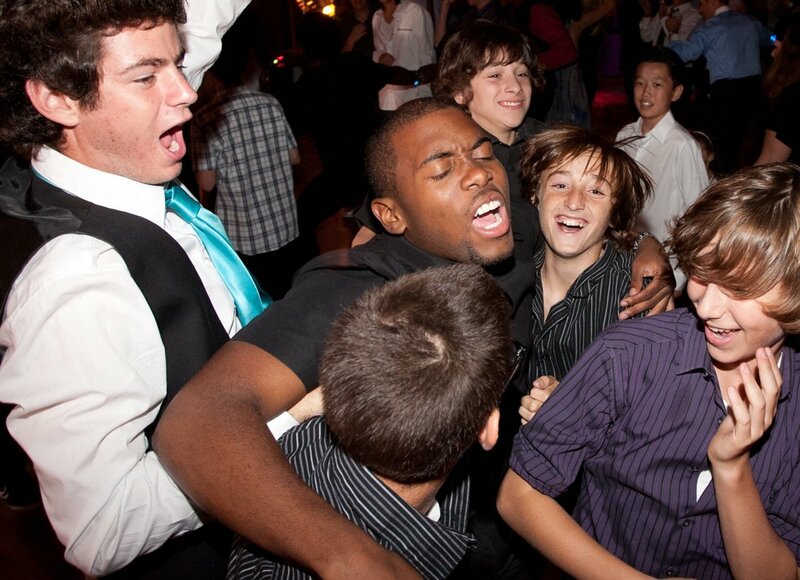 At H2H we are synonymous with fantastic Bar Mitzvah DJs but under the hood, we are so much more. We offer the best photo booths, video booths and video gaming stations available. 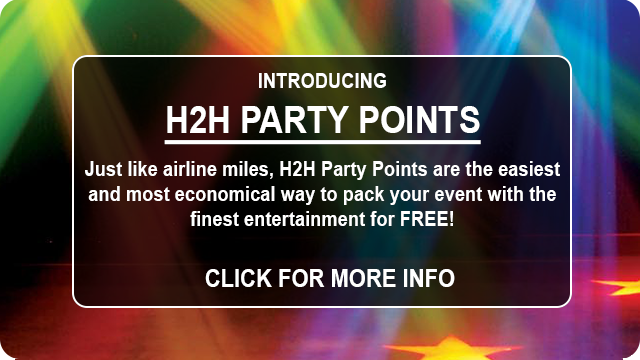 And to top it off, we offer all of these incredible Event Enhancements in house. That means that we don’t subcontract any of these vendors. So you’ll be assured to receive the same top level professionals that you’ve come to expect from H2Htpe. We strike just the right balance between traditional moments and cutting edge Bar Mitzvah entertainment. But don’t just take our word for it. Check us out all over social media to see what everyone else is saying about H2Htpe. Instagram | Facebook | Twitter. 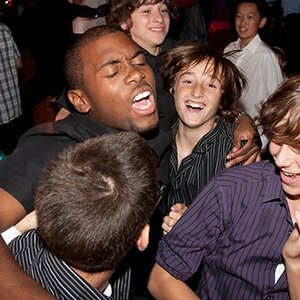 So give your Guest of Honor the celebration they deserve and book the best Bar Mitzvah DJ in Los Angeles!